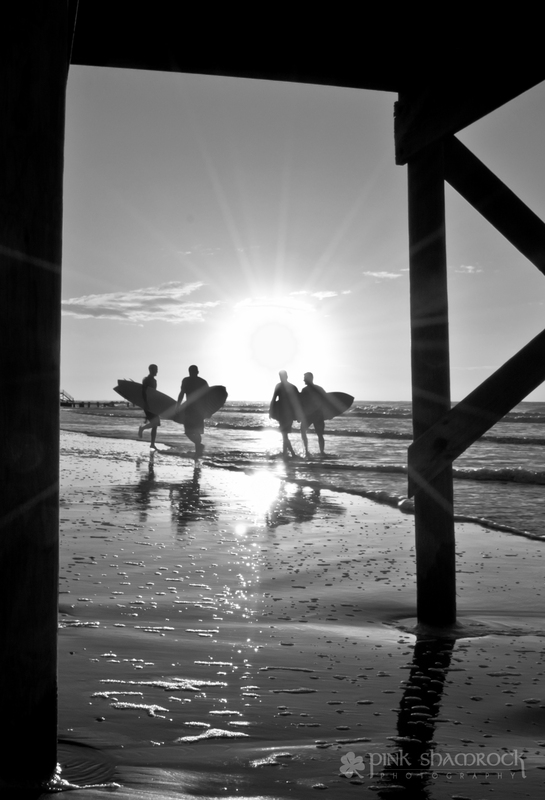 “Sol Surfers” – Surfers silhouetted by the sunrise on Folly Beach, SC. Hello, and a belated Happy New Year to all of you! I realize my blogging has been sporadic at best over these last few months, but I’m hoping to remedy that. Either way, I thought you could all use a reminder that Spring is just around the corner. With all the cold weather, including an ice storm that rendered Charleston out of commission for two days, it’s always nice to remember that it won’t last forever and that the warmth will return again. This entry was posted in Black and White, Charleston, Landscape, Photo of the Day, Portraits, Seasons, Summer, Sunrises, Water and tagged beach, Charleston, CHS, flare, Folly Beach, Lowcountry, monochrome, ocean, photo of the day, Photography, photos, Pink Shamrock Photography, SC, sea, silhouette, South Carolina, summer, sun, sunburst, sunflare, surf, surfboard, surfers, surfing, water, waves. Bookmark the permalink. And a very Happy New Year to you too, Erin, and great to see an image from you. And a super one too, not just as an image, but to brighten this grim winter of grey skies and non-stop rain we are enduring over here in the UK. Thank you so much! We’ve had our fair share of rain here as well–it gets old fast, does it not? ?